47-year-old George of the Jungle actor Brendan Fraser could be the next in line for a career renaissance, having just bagged a recurring role in Golden Globe-winning drama The Affair. Best known for the The Mummy franchise which ran from 1999-2008, and which is now being rebooted without him, Fraser has signed on to appear in multiple episodes of The Affair‘s third season. The Showtime multi-perpective drama will be Brendan Fraser’s second TV project in recent years, following his stint in the History Channel miniseries Texas Rising. Having been impressed by his more ‘serious acting’ roles such as School Ties and Guilty Until Proven Innocent, we’re looking forward to seeing what he brings to the already stellar lineup of The Affair. 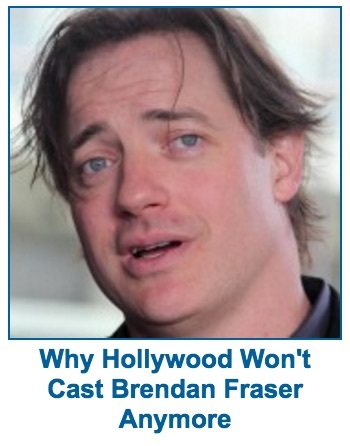 Can we stop seeing this annoying clickbait ad now, please? The Affair returns to Showtime in the U.S. on Sunday, November 20th at 10 p.m.